Priceless was recorded by Joey Niceforo at Abbey Road Studios in London, England; backup with a full orchestra, and a renowned production team, including Juno winner Sam Reid (Glass Tiger), Grammy winners Steve Sidwell (Beautiful: The Carole King Musical), John Jones (Celine Dion), and the late Steve Price (Adele and Sam Smith). 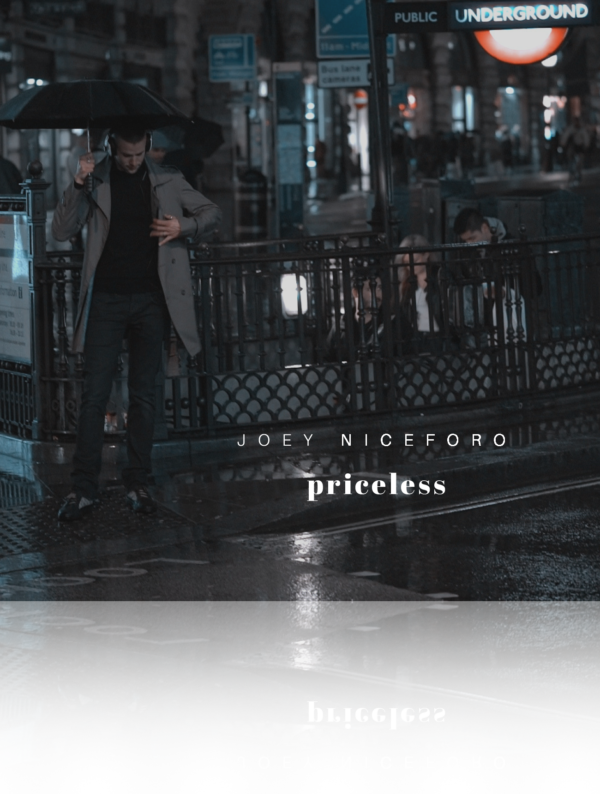 Priceless features song selections chosen by Niceforo for their powerful lyrics and beautiful sentiments. The album includes tracks by artists such as Abba, Tom Waits and Sir Elton John, to name a few, with each song deconstructed then arranged into beautiful and complex orchestrations. The reimagined songs were produced and recorded with a full orchestra, bringing to life an accessible, yet well-composed style of music Niceforo has coined ‘New Classic’.